Asparohovo VI Varnaflats.eu Apartment is a self-catering accommodation located 150 metres from the Asparuhov Park in Varna City and 350 metres from the quay and the sea. Free WiFi access is available throughout the premises. Free public parking is possible on site. The air-conditioned apartment features an open-plan equipped kitchen and a living area, fitted with a TV with satellite channels. A sofa bed is available as well. The bathroom is equipped with a shower, a hairdryer and free toiletries. The balcony comes with outdoor furnishings and opens to city views. Grand Mall Varna and the centre of the city can be reached within 7.5 km The beach is located 1 km away from Asparohovo VI Varnaflats.eu Apartment, while Varna Aquarium and Primorski Park can both be found within 7.2 km. Varna Airport is set 13.6 km away. 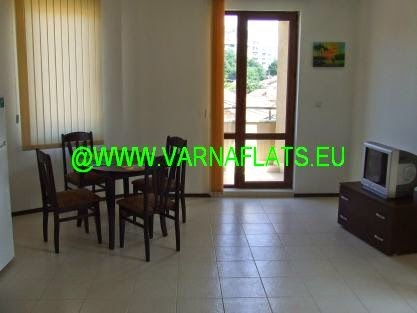 Guests of Asparohovo VI Varnaflats.eu Apartment are offered airport shuttle services and bicycle rental, upon request and at a surcharge.